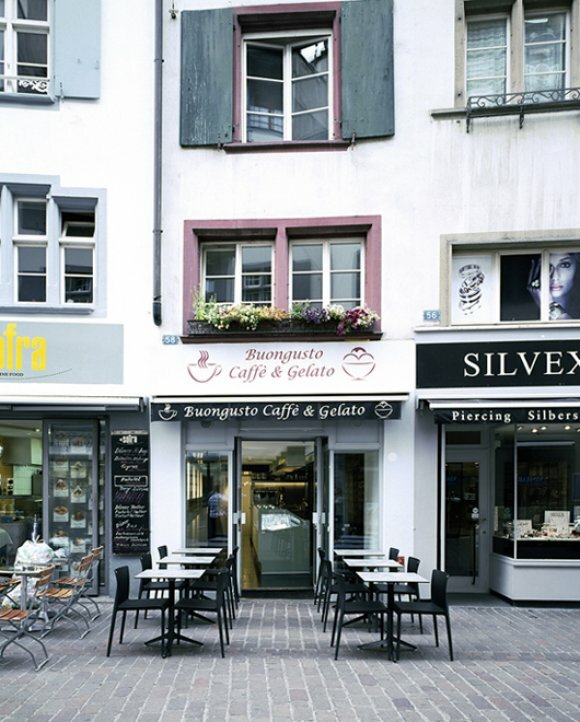 In Summer 2015 VOSS Architects were approached by our Italian client to design the new fit out for a small Café and Gelateria on the ground floor of an 15th century listed building in the city centre of Basel. 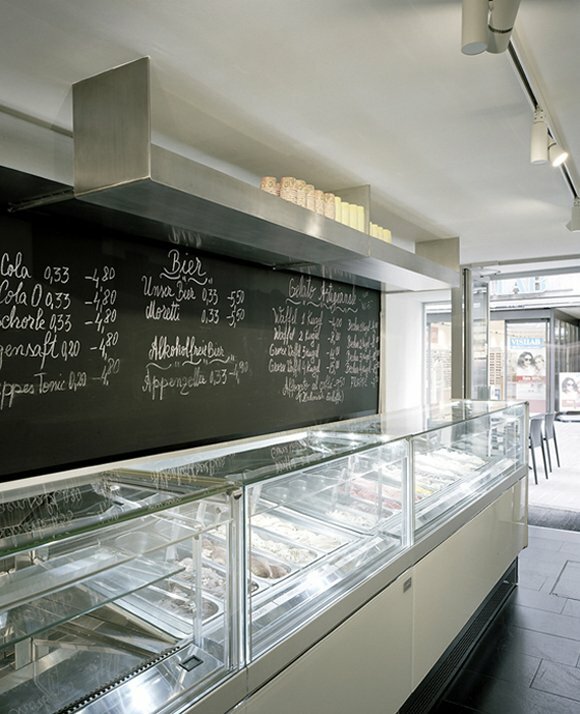 To open his first Gelateria in Switzerland, the client rented a 70 sqm shop in a lane in the historic quarters. 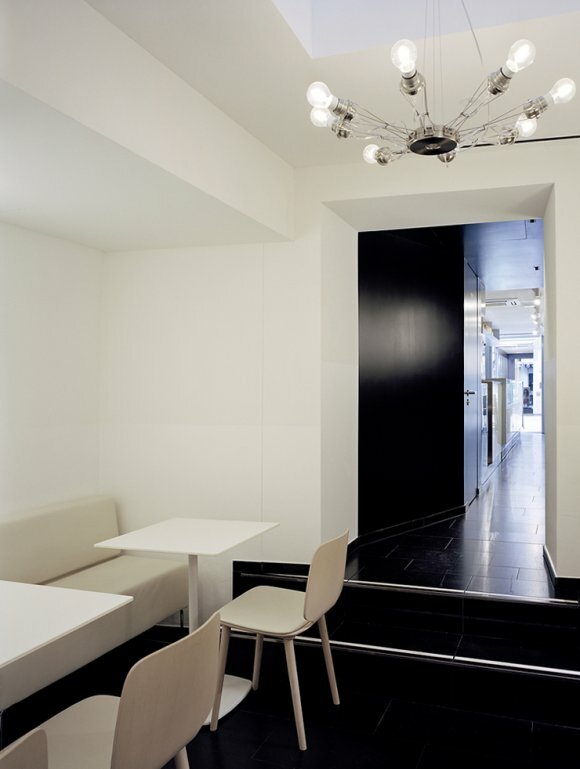 Our brief was to strip out the existing store except the black tile flooring and design a sales area for gelato, sandwiches and pastries, a small seating area, back production room and kitchen. Working closely with the City Heritage Department, we developed a concept that respected the existing structure of the building and facade, while providing the client with the required functions. 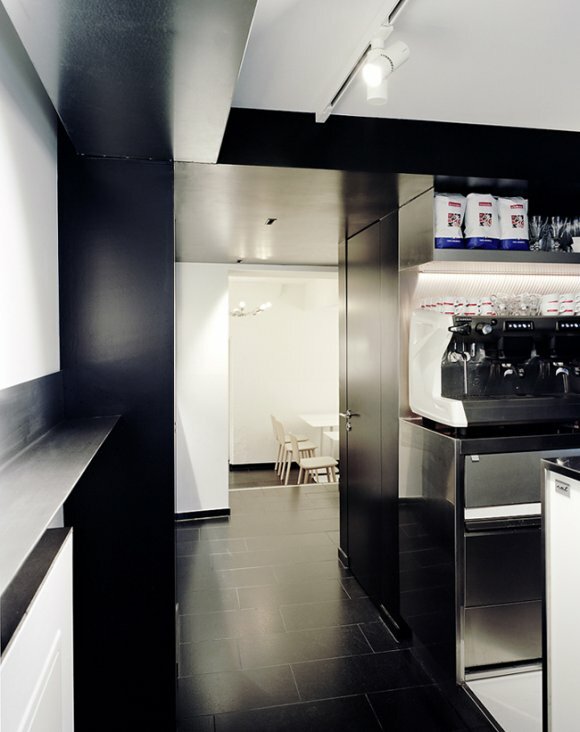 The challenge was to accommodate within the very small elongated space all the equipment for the sale and production of the gelato and at the same time creating a space that is open and inviting for the customers. With very little interventions and materials we designed simple spaces that provide a stage as well as a back drop for the colourful gelato and pastries. Based on the existing materials in the store, we chose a very minimal black and white colour concept in combination with new build in stainless steel furniture and shelves. VOSS Architects got planning permission in March 2016. The building work was executed by a general contractor from Switzerland and completed in May, right in time for the summer. 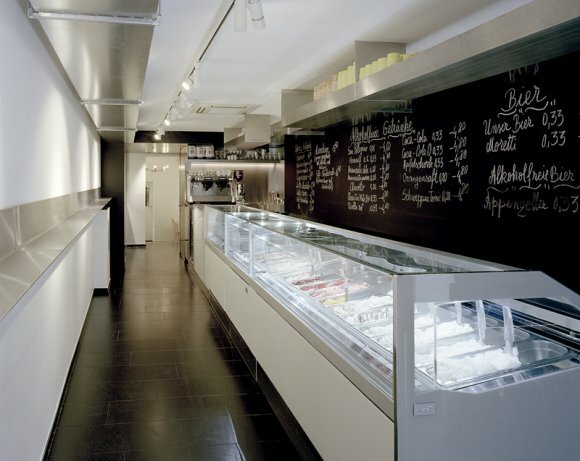 If you are ever in Basel, come visit and enjoy the gelato! It is definitely the best in town!